It only took me 7.5 years to get round to it, but I’ve spent the last week sorting, shredding and shifting and have now reclaimed a quarter of my loft room as an office. It was prompted partly by the arrival of my new funky, if chunky, printer/copier/scanner, which I didn’t want to set up on my dining table, as I knew it would end up staying there. Just need to get the decorating and recarpeting of the house finished (mid-March) and then it’s all systems go for Beaumont Pro! 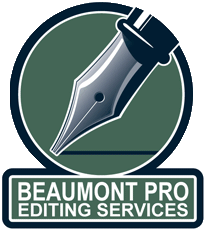 Beaumont Pro is open for business! Hello, and welcome to my blog. I’ll be using this space to give occasional updates about me, my work, and all things relating to the world of editing. I truly am passionate when it comes to protecting high standards in the English language, and I love passing that enthusiasm on to other people. Once you know your it’s from your its, when to use their, there and they’re, and whether to deploy a colon or a semi-colon, life is sweet! Comments will always be open on this page, so I hope you’ll join in the discussion.